Hasan T. Emdad Rumi was born on 23rd June,1978 in the capital city of Bangladesh- Dhaka. He passed his SSC and HSC from St. Gregory’s High School and Notredame College respectively with good results, which subsequently allowed him to graduate and post graduate from Business Administration from University of Dhaka. During a Grad Student, he became one of the founder members of first generation dial-up based internet service provider known as “Asia Online & Networks”. It was fewest amongst earlier online narrowband based internet services to the capital city. He was the Technical Director of ISP Services. During post-graduate and after, he joined Aziz Trade and Engineering Limited, as Head of Automation, between 2002-2005. During this period successfully completed several turn-key projects; amongst to be mentioned of introducing prepaid metering and mechanism in domestic gas distribution system. In the year 2004, founded a partnership entity called “Shah Enterprise” and worked as procuring & overseas managing director. The objective of forming such endeavor was to work as local vendor partner solution of GPS system, Night vision relay optics and mapping solution of international recognized product vendors such as Magellan, Thales, ILKO (Russian) and MapSend. In parallel, the entity also dealt in importing agro based equipment and indenting to local suppliers. In the year 2005 and continuing, founded and acted as Chief Technical Officer (CTO) of “Ensii Global Networks”- a Telecom Value Added Service Company, Cloud Services and Software Development Services based company. He successfully contributed over 40 various software projects- most of which were start-up conceptual based services. He contributed enormously, on the field of VAS and Cloud based services. He has also worked with various defense authority and units in the country on different integration and software projects. The company is currently working on Mobile PKI based payment and Ecommerce Applications and Cloud hosting services. The company is listed in entities such as multiple Telecom Operators, World Bank Group, Swiss-Katalyst and various Defense authorities. For a short tenure during 2007-08, worked as project coordinator of a USA (Texas) based joint venture offshore opportunity called “Network Elites and Opus Onetech”. Several Software Development projects were undertaken in the short period amongst one of the project was delivered to one of the then fortune-500 listed company in the US. 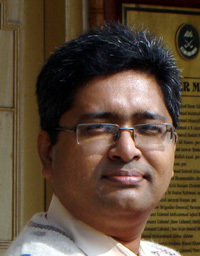 During 2009-12 sessions, became the Head of Country Operation (Coordinator) of Biligi Tecnoloji Tasaram BTT, Turkey and successfully owned and operated CDR Analyzer System in the country’s Transit telecom operators of Bangladesh and ensuring Telecom Operators’ Revenue assurance and many LEA operatives. 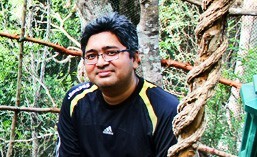 In late 2011, joined Mango Teleservices Limited as Head of Technical Solution (Currently as General Manager). Mango is a Bangladeshi owned mid-sized transit telecom operator; This eventually transformed into the business unit of Digital Signature Certifying Authority, Software Development and IT Enabled Services of Mango. This company has recently entered into the retail market with BWA (LTE-4G) services. The VAS of BWA is also becoming a business unit component of CA & ITES. With Mango, he has contributed in leading the development of Root Certifying PKI Platform of the Government and subsequently, developed the Enterprise PKI system. Many Turnkey Software projects were also built by his supervision and lead. Web-portals of the Government which is leading towards the Digital Bangladesh have been using Mango Cloud Infrastructure as its platform under the leadership of Mr. Hasan. Mr. Hasan T. Emdad Rumi has attended many workshops/ seminars at home and abroad, and project Bangladesh very positively both in technology and industrial sectors. During his entire career, he is trying to contribute significantly for the overall betterment of the society, people and the country by introducing Technology at doorsteps. In personal life he is married and the proud father of a son. I found your blog quite useful but sadly, there is no way to contact you. If I could be able to contact you, I would love to donate for your wonderful tutorials.